How to check Irctc train seat availability between two stations and timing of Indian Railways. If you are thinking for some trip and want to book train ticket , then you first need to check train availability between your origin and destination station. Now IRCTC allows you to book train ticket 120 days or 4 month in advance. So if you are planing for some trip in nearby dates, then you might not get the seat. 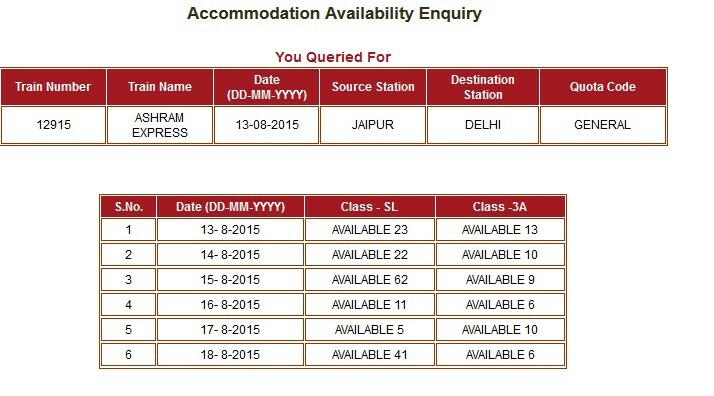 You can check IRCTC seat availability between two station. Indian railways is one of the biggest rail network in world and has lots of trains, still its very difficult to get confirm seat. People book their train ticket in advance. Now if you want to travel, you first need to find train between two station, then you need to check availability of seats on trains. 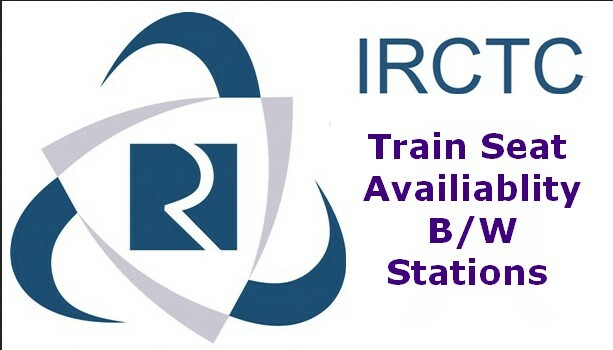 To check train availability between two station on Irctc, there are two ways. You can check it or IRCTC site or Indian Railways site. To check seat availablity on Irctc site, you first need to have Irctc account, if you don’t have one. You can create Irctc account for free. Login to Irctc account with your username and pasword. Now In plan my travel, Enter Origin and Destination station. Now Select your Journey date. Now it will show you available train between stations you entered. 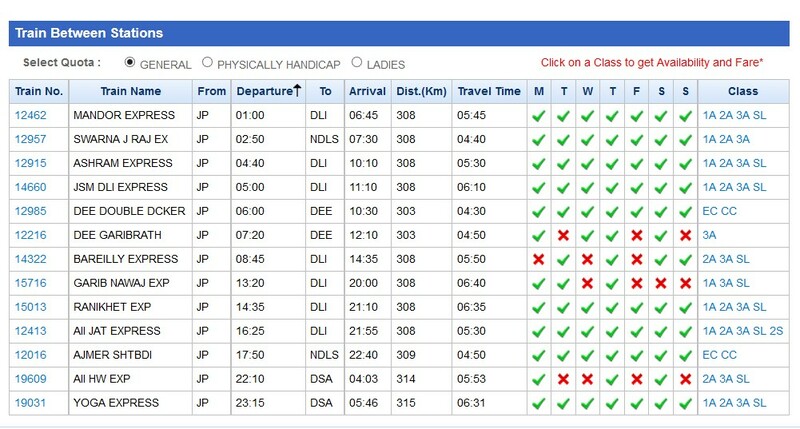 Now chose the train which suits you and click on the class type of that train to know seat availability of the train. It will list the available seat on that train in your class. Now you click on Book now to book train ticket. Note : Indian Railway also has tatkal booking scheme for urgent tickets. 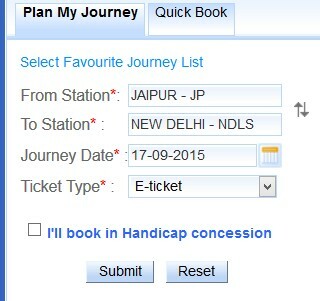 You can book Tatkal ticket one day before the train departure. You can also check train seat availability on Indian Railways site and its more easy to check seat availability on Indian Railways as it does not require any registration. Go to Indian Railway Train Enquiry Page. Now enter the origin and destination station in From and To boxes. Select your class, Sleeper, First AC, Second AC, Third AC, 3 AC Economy, AC chair CAR, First Class and Second seating. It will list the available train between the station you entered. Now chose the train which suits you and click on get availability of the train. Now it will list the available seat on the train. 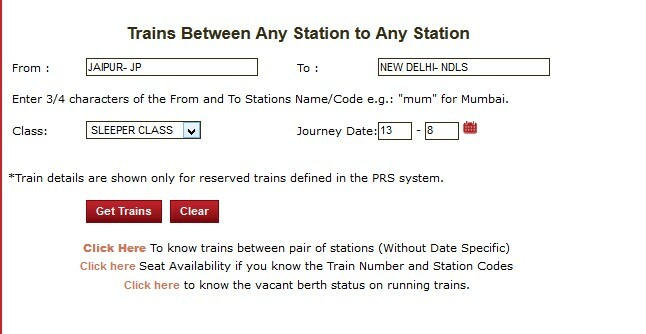 You can not book train ticket on Indian Railways, you can only check train seat availability on Indian railways. For booking Train ticket , you need to go IRCTC. Note : If you ticket is on Waiting list, you must note the chart preparation time. And also you can not book train ticket after chart prepared. To check train seat availability on Android, there are lots of Android app through which you can check seat availability of Indian trains. Indian Rail Train Info : In this app, you can check train seat availability between stations, Train schedule, PNR enquiry and Train live status or train running status. You can install this app in your Android phone, and now you can check train availability from your Android phone. 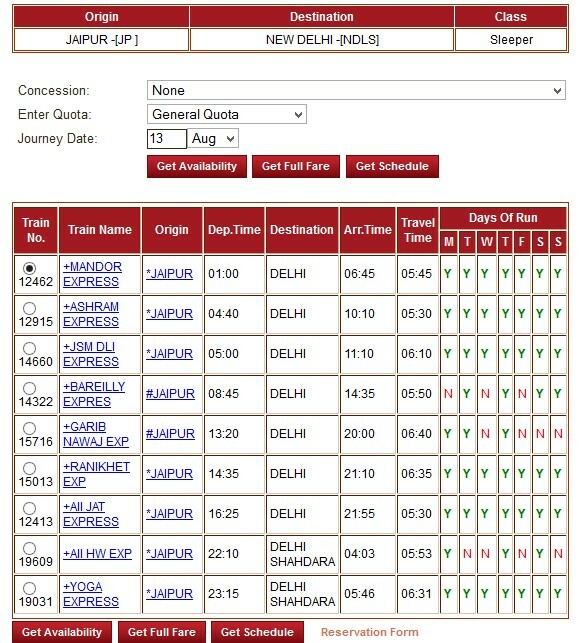 Train Schedule feature is best, you can check any train train schedule in this in one click. RailCal: Availability Calendar : It is also very useful app to find train seat availability, you can also get the Indian Rail calender from this app. You can get complete schedule of train between two station. Just enter you origin and destination station , it will list all the train between those station. 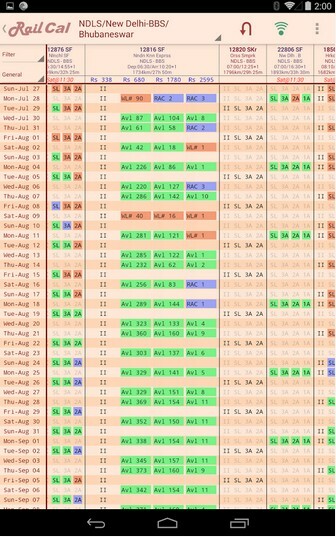 The best part of this app is it display 4 month calender , so you can plan your journey easily. So these are some of the Android app through which you can find seat and train availability from your mobile. Train journey is the best journey for long distance, it is fast , cheap and comfortable then your Car and buses. But in India , getting train ticket is not easy, you need to plan in advance for your journey. Otherwise you need to go for tatkal ticket booking. But getting confirm tatkal ticket is not easy. So check train seat availability between two station you are planing in advance and book your confirm ticket.